Cosplayer - The term used for anime lover or otaku who wears a costume similar to an anime character and role playing it in front of other people. WTF? Somebody went as far as grabbing? Agre naman masyado. Dapat siguro mag-coordinate sa security yung mga organizers or put up some signs to remind people as to how they should behave. 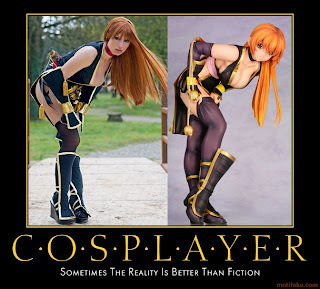 Baka naman naiisip ng iba ok lang sa mga cosplayer na kunan ng kunan sila ng litrato because with such costumes, they're bound to catch attention.